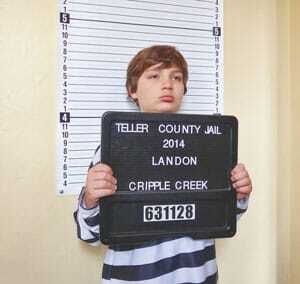 Castle Pines resident, Landon Holderness, visits the Outlaws and Lawmen Jail Museum. 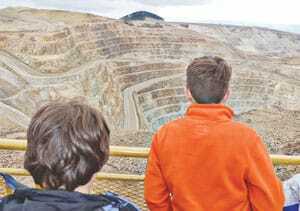 Visitors can tour and see many working mines. Take a step back in time and wander through Pikes Peak country this spring break. Cripple Creek, the county seat for Teller County, offers plenty of fun for the whole family. With a population of fewer than 2,000, Cripple Creek was home to more than 50,000 at the turn of the 20th century. 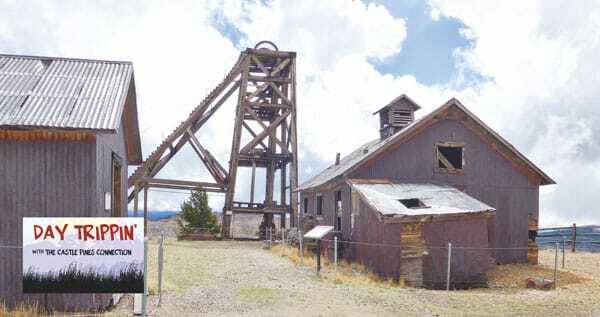 When gold was discovered there in 1890 by ranch hand Bob Womack, the Colorado gold rush flocked to the area and began building a tiny town that became a busy city quickly. Once home to more than 40 mines, it still has several working mines. More gold has come out of the Pikes Peak region than the California and Alaska gold rushes, combined! Known as a limited stake gaming town, there is much more to see and do in Cripple Creek than gamble. Touring through the historical buildings, hiking the many trails surrounding the town, and taking a tour of a local mine are just a few options. The most fun for families are the historic Teller County jail tour, the narrow gauge railway, and the Heritage Center. Serving as the Teller County jail for ninety years, the Outlaws and Lawmen Jail Museum gives young and old a glimpse of both sides of the law during the gold boom. With the original jail cells intact, visitors can see what the wrong side of the law brought villains in the early to mid-1900s. Kids love the jail museum. Just as much fun is the Cripple Creek and Victor Narrow Gauge Railway. This great-for-family ride takes passengers through the scenic Pikes Peak terrain over and around many mines and the lucky strike area. Its gift shop and ticket office was originally the Anaconda station along the Midland Terminal line, built in 1894. In 1968 it was moved to where it now stands. Another must see stop while in Cripple Creek is the Heritage Center. It is an outstanding museum with many hands-on activities. It shows the history of the mining industry, has a huge model railroad with moving locomotives, and features a fun moving diorama of a deep local mine. 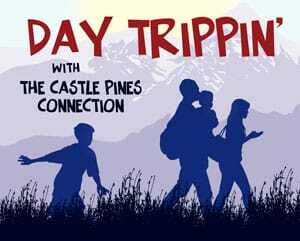 So why not venture to Cripple Creek this month? For a weekend or even for just a day, this gold rush town with a rich history will not disappoint. I noticed that [your staff] wrote about Cripple Creek in one of the issues of The Connection. I thought it might interest you to know that recently my family went to Cripple Creek and found that there were barely any restaurants that were not casinos. One was advertised as a “family restaurant” even though it was illegal for children to enter it. Perhaps you could put that into the next issue.